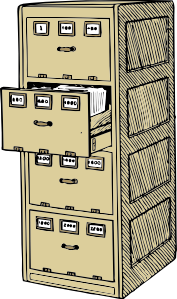 I'm updating my online Filing Cabinets and various lists! I'm checking for broken links this week and adding a few ideas from past experiences. I'm checking for broken links there as well and will add a few more ideas soon! I also keep a running list of "super sites" that have been created by math teachers. These sites make great warm-up activities and more! On Pinterest, I have a list of good books for math teachers to read! I use Pinterest because "seeing" the book makes a difference! Yes, we judge books by their covers! How do you organize the great resources you use in your classroom? Thank you for these links! I started a pinterest board this year for books as well - I love that idea! I need to find you on pinterest! I LOVE that you included David Johnson's books on your pinterest board! Such great books! I read them for my math methods class in college and need to revisit them now that I'm in the classroom! He also has one called Motivation Counts. Thanks, Greta. I had forgotten about his books until I cleaned out a box recently. My copy is really quite old ... but still very relevant! I'll check out the one on motivation.